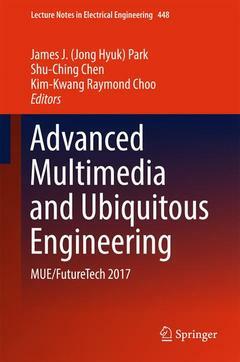 This book presents the proceedings of the 11th International Conference on Multimedia and Ubiquitous Engineering (MUE2017) and the 12th International Conference on Future Information Technology (FutureTech2017), held in Seoul, South Korea on May 22?24, 2017. These two conferences provided an opportunity for academic and industrial professionals to discuss recent advances in the area of multimedia and ubiquitous environments including models and systems, new directions, and novel applications associated with the utilization and acceptance of ubiquitous computing devices and systems. The resulting papers address the latest technological innovations in the fields of digital convergence, multimedia convergence, intelligent applications, embedded systems, mobile and wireless communications, bio-inspired computing, grid and cloud computing, semantic web, user experience, HCI, and security and trust computing. The book offers a valuable resource for a broad readership, including students, academic researchers, and professionals. Further, it provides an overview of current research and a ?snapshot? for those new to the field.